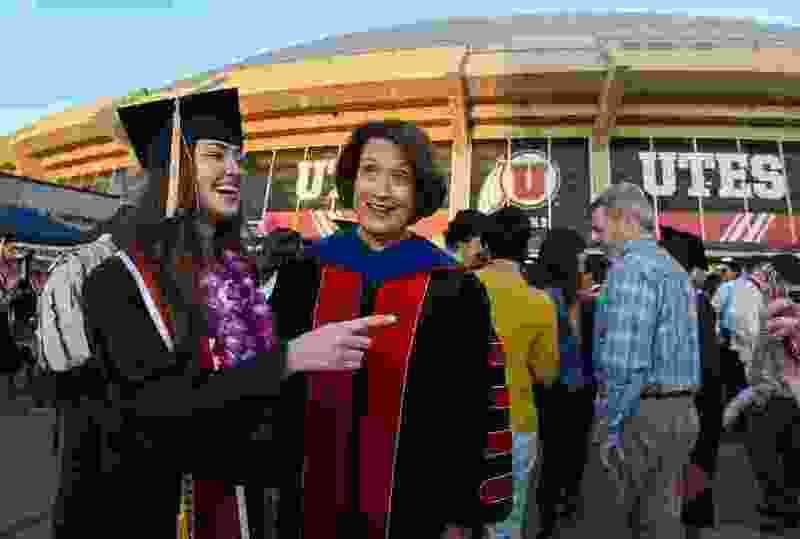 (Francisco Kjolseth | The Salt Lake Tribune) University of Utah President Ruth Watkins meets with students, including nursing graduate Caitlin Keenan, after commencement ceremonies on Thursday, May 3, 2018, at the Jon M. Huntsman Center. While not the exact words the accountant used, that was the stinging message that was recently received by a friend of mine. She had gone to consult with her accountant to talk about her return to school, and his response cut deep. What he actually said was that the “cost-benefit analysis” indicated that it was “not a financially wise decision to educate” her. Same thing. I had two immediate thoughts. First of all, I would fire that accountant on the spot. How dare he?! Second, no education is wasted and especially not for women. 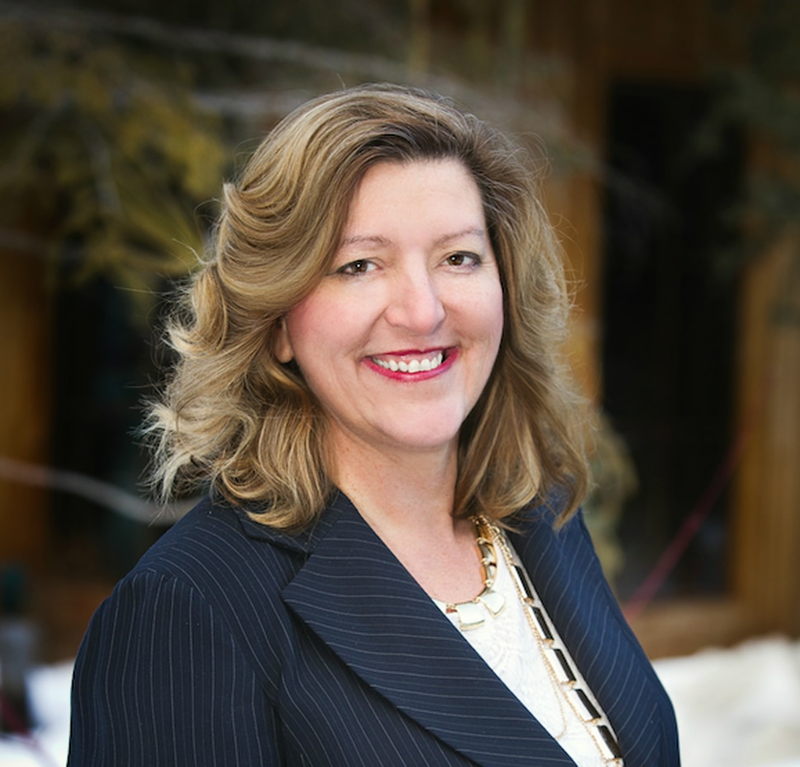 Research from the Utah Women and Leadership project details a multitude of benefits of higher education for women. Almost all study participants could list a higher-paying job as an advantage of acquiring more education. But an increase in earnings is only one of many additional benefits for women who pursue a college education. Slightly more than half (54 percent) identified college as something that would help them increase their “knowledge, intellect and lifelong learning” skills. However, barely 8 percent of women surveyed knew that college could help them develop important life skills such as critical thinking, problem solving, decision-making skills and an increased tolerance for differences in others. Women with more education participate substantially more in civic activities, including voting and volunteering in the community. They have stronger social skills, a better self-concept, better leadership skills, stronger teamwork and interpersonal skills and stronger analytical abilities. If you’re like my friend, you might wonder if you can justify the expense of college. Good question, especially in light of this week’s audit of higher-ed tuition rates. The good news is there are a number of ways to pay for college that don’t involve breaking the bank or going deeply into debt. Each institution will have information for students and potential students, but options can include grant money, academic scholarships, financial need scholarships and scholarships based on niche categories, work programs that exchange work for tuition and other possibilities as well. You might also be a multipotentialite like my friend — interested in and good at many things. How do you choose a major if so many classes sound interesting?! Just start, take a class or two from some of your areas of interest, pick a focus and then stay in your lane. Use your elective options to take classes in other areas of interest. The great thing about lifelong learning is that you hopefully have many years after completing a degree to pursue other areas of interest. If you are wondering if you are too old to continue your education, you’re not. In 2007, Nola Ochs graduated with a bachelor’s degree — at age 95. She earned a master’s degree three years later, at age 98. Amy Craton earned a bachelor’s degree in creative writing and English in 2017 — at age 94. She immediately started working on a graduate degree. There are definite advantages to being a nontraditional student. You will almost certainly realize that you already know a lot. You will quickly learn that your life experience will help you anchor your textbook learning. You probably don’t need to “find yourself,” or at least not like a teenage college student, and you won’t be mired in teenage angst. That alone will save you oodles of time. Managing stress is likely easier, as is juggling multiple roles and multiple tasks. Professors seem less intimidating, and you will discover just how willing they are to help you succeed. Is it worth it to go back? Absolutely. Holly Richardson realizes you do not need a college degree to do some pretty amazing things in this life, but if college is your path, go for it! Accountants don’t know everything.